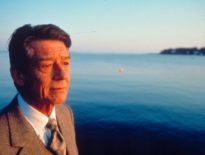 Unless you have been living under a particularly heavy, sound-proofed rock over this past weekend, then you will be aware that the legend that is Sir John Hurt has passed away at the age of 77. I awoke to this news on Saturday morning along with a cup of tea and a wave of memories of watching John Hurt on the big and small screen. It was a sad moment as I realised that one of Britain’s most distinctive and popular actors was gone. Of course, we in the Doctor Who-niverse know him best for his performance as the War Doctor during the course of the 50th anniversary celebrations back in 2013 and his return in Big Finish audios as of 2015. I remember that his appearance in Doctor Who came as something of a surprise to me. 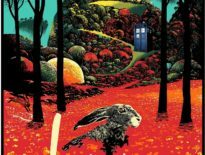 I had missed the airing of The Name of the Doctor and as I sat on the train back to university, I messaged my fellow Whovian, Dan, to ask him, without spoiling it, whether the story had lived up to its billing. Dan assured me that the episode was good and that there was ‘quite the mystery’ left in its wake. Eager to find out what the hell he was on about, as soon as I got home, I sat down with a mug of tea, several (packets of) biscuits and started watching. As the figure in the Doctor’s time stream spoke, I recall there being an intake of breath. “You’ve got to be kidding me? Is this real? Come on, turn around!” I said to no one in particular and as he turned and the caption appeared beside him, I let out an audible squeal which probably woke up my next door neighbours. I had to rewatch the ending a few times, just to double check. John freaking Hurt was in Doctor Who playing a mysterious version of the Doctor! It was genuinely like my prayers had been answered. I don’t think that providing you with the length of my phone call to Dan and the considerable bill it brought with it is at all necessary but it was significant and marked the beginning of excited anticipation for what the 50th anniversary episode would bring. Now, of course, John Hurt was no stranger to appearing in cult TV and film. My first memory of him was his performance as the wand maker, Mr Ollivander, in Harry Potter and the Philosopher’s Stone and still to this day, I think his portrayal is, pardoning the pun, magical. The reason that I was so excited that this particular British legend had become a part of yet another British institution was that I had recently become obsessed with the Alien series. 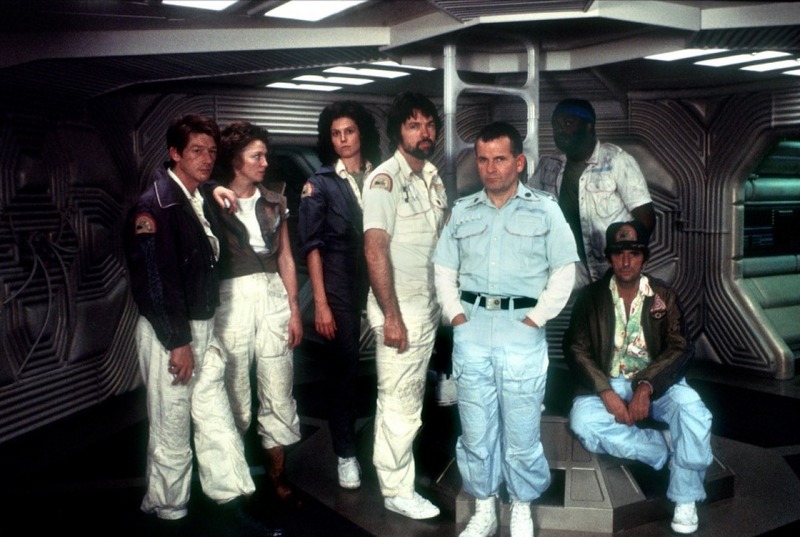 John Hurt played the Executive Officer, Gilbert Ward “Thomas” Kane, of the ill-fated USCSS Nostromo in the 1979 instalment of what would become a genre-defining franchise. He has the inestimable honour of being the first to be face-hugged and have his chest burst by the Xenomorph as it begins to terrorise the rest of the crew. Even now, the physical effects of the spurting blood and the look of utter horror on the faces of the other cast make this film, and this scene in particular, so scary. The character of Kane is often listed merely as one of the unfortunate people to fall prey to the Xenomorph. This is completely understandable as the series expanded and the all-around badass that is Ellen Ripley led the fight against the aliens, but his place in the Alien universe, as in many successful film and television franchises remains in the imagination of its audience long after you’ve finished watching. The fact that John went on to spoof the famous chest bursting scene in 1987’s parody Spaceballs shows another side to his personality that is seldom seen amongst actors nowadays; the fact that he never took himself too seriously. Of course, his role in Alien is just one of many performances that John Hurt mastered. He was a superb actor who demonstrated humility in every way and his skill to turn himself to any character, whether that be the doomed Kane or the War Doctor, was truly astounding. He will be sadly missed. Now I don’t know about you, but I think I need to go and watch The Day of the Doctor again. Thank you, Mr Hurt. Thank you.